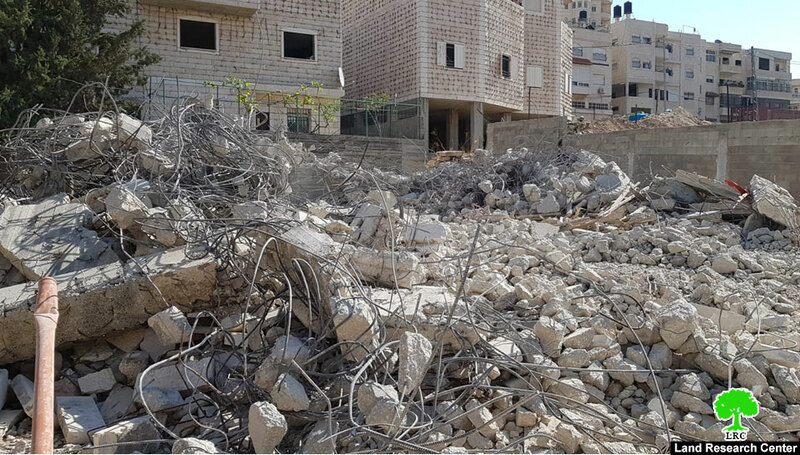 Wednesday, November 07-2018, The Israeli occupation municipality in Jerusalem demolished a residential building in Ras-Khamees quarter – Shufat refugees camp – north occupied Jerusalem on the pretext of building without obtaining a proper permission. The building owned by Mohammad As-Sa&apos;iri , and is reported to have 4 floors, one of them is a garage, the other 3 floors consist of 4 apartments each one has an area of 200 m2, built in 2016, ready for use but uninhabited yet, the building is only few meters away from the apartheid wall that surrounds Jerusalem. "In February I received a demolition military order from the Israeli occupation municipality on the pretext of building without receiving a proper license. 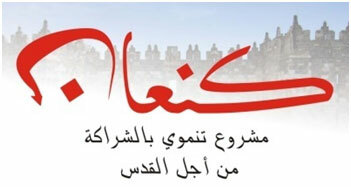 Noteworthy, the Israeli municipality never grants permissions for Palestinians in that area. This morning, Number of Israeli occupation police members accompanied by a military bulldozer broke into the location, demolished the structure, after 3 hours they left causing huge destruction and great pain to me"
In the recent 3 years, the Israeli occupation forces broke into the refugees camp several times, took pictures of the targeted structures and served demolition-orders to buildings contain tens of apartments. In the recent year the Israeli occupation served demolition military orders to 28 buildings contain 70 inhabited apartments on the pretext of unlicensed constructions.